Read for yourself. 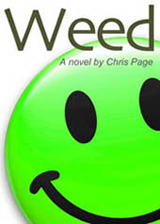 Click here for the first three chapters. Sir Hades Gousset — underwear magnate, king of the undies world, the biggest man in pants — has only ever seen underwear as a force for good. 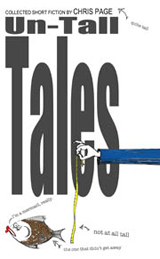 That is, until the mysterious Dr Hieronymus Mangler appears with a fiendish new technology that threatens Hades' monopoly and his grip on the world of nether-wear. Mangler's technology has more sinister purposes than business competition and his ambitions go beyond mere financial profit. The battle between Hades and Mangler for control of this vital undergarment becomes a titanic struggle for the soul of humanity itself, and leads to not just one, but two apocalypses, in a conflict that rocks civilisation to its foundation wear. 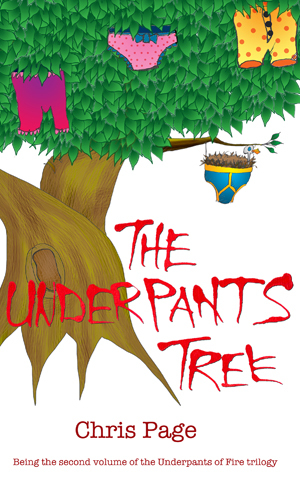 The Underpants Tree is the second volume of The Underpants of Fire trilogy. The first volume is King of the Undies World. 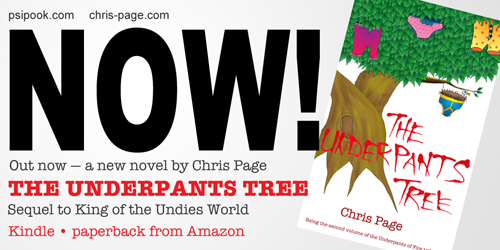 Read King of the Undies World now.